Finding an error message displayed on the LCD screen of your Samsung camera isn't great news, and it can lead to a panicky feeling. But at least when you see Samsung camera error messages, you know the camera is trying to tell you about the problem. 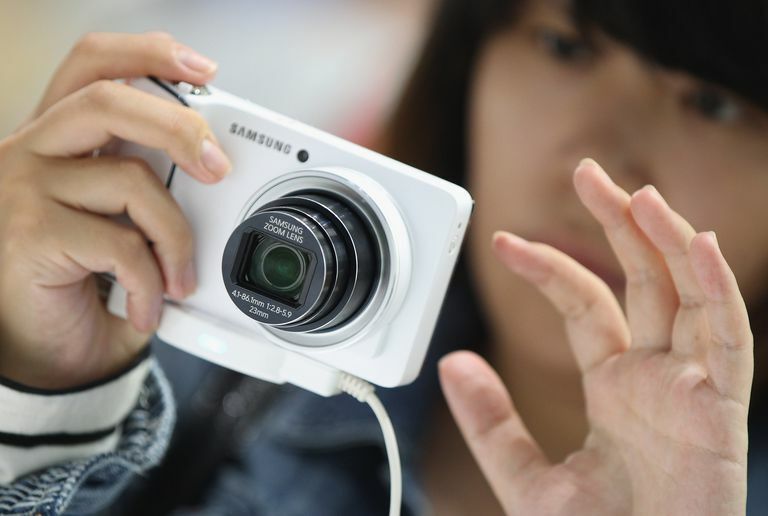 The tips listed here should help you troubleshoot your Samsung camera error messages. This error message on a Samsung camera refers to a problem with the memory card -- most likely an SD memory card -- rather than with the camera itself. First, check the write protect switch along the side of the SD card. Slide the switch upward to unlock the card. If you continue to receive the error message, the card may be defective or broken. Try using the memory card in another device to see whether it's readable. It's also possible to reset this error message by just turning the camera off and on again. You'll sometimes see this error message with Samsung DSLR cameras if there is any debris or dust on the metal contacts and mount of the lens. Just remove the debris and try reconnecting the lens again. The DCF error message with your Samsung camera nearly always occurs when you're using a memory card that was formatted with a different camera, and the file format structure is not compatible with your Samsung camera. You'll have to format the card with the Samsung camera. However, make sure you download any photos to your computer first. Disconnect the lens and carefully reconnect it when you see the "error 00" message with your Samsung camera. The problem likely occurred because the lens wasn't connected properly initially. These two error messages refer to problems with the battery in your Samsung camera. Remove the battery, make sure the metal connections are clean and the battery compartment is free of debris, and reinsert the battery. In addition, make sure you've inserted the battery in the correct direction. When trying to view photos stored on your camera's memory card, you may see the File Error message, which can be caused by a few different problems with an image file. Most likely, the photo file you're trying to view is corrupted or was taken with another camera. Try downloading the file to your computer, and then view it on the screen. If you cannot see it, the file probably is corrupted. Otherwise, the memory card may need to be formatted with the Samsung camera. However, keep in mind that formatting the memory card will erase all photos on it. If the LCD screen is all white (blank) -- meaning you cannot see any error message -- you'll need to reset the camera. Remove the battery and memory card for at least 15 minutes. Make sure the battery's metal connections are clean and the battery compartment is free of dust and debris. Replace everything and turn on the camera again. If the LCD remains blank, the camera may need repair. If your Samsung camera displays the "no file" error message, your memory card probably is empty. If you think your memory card should have photos stored on it, it's possible the card is corrupted, and you might need to format the memory card again. It's also possible the Samsung camera is storing all of your photos in internal memory, rather than on the memory card. Work through the camera's menus to figure out how to move your photos from internal memory to the memory card. Keep in mind that different models of Samsung cameras may provide a different set of error messages than what is shown here. If you are seeing Samsung camera error messages that aren't listed here, check with your Samsung camera user guide for a list of other error messages specific to your model of camera, or visit the Support area of the Samsung Web site. Good luck solving your Samsung point and shoot camera error message problems!